I went back to visit my dearest friend, Tina, in St. Louis to help out with some of the painting work for the home she and her partner, Jared, had just purchased. I never left the house except for a quick trip to Lowes! 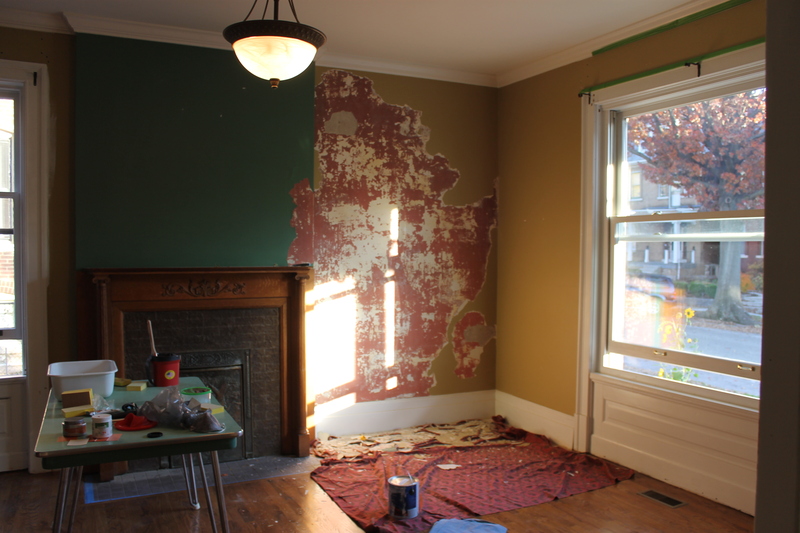 We worked on the sitting room/living room, which you can see in this picture was a big undertaking. The wall color was a mustard-poop, forest green, and one section had to be scraped all the way down to the base plaster. The house is not small and this sitting room was a beast! I was stoked to be there helping out with color selection and painting, painting, painting. 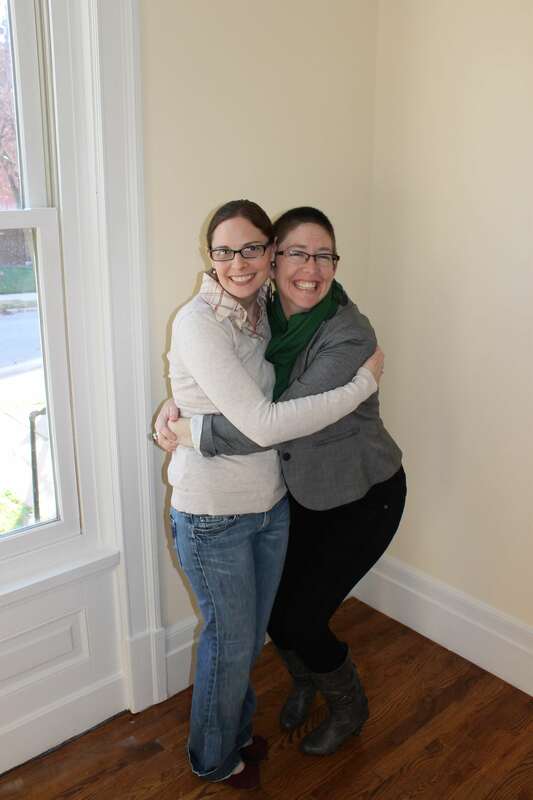 Since Matt & I don’t own a home it was so much fun to be doing this work in someone’s space! I’m heading back in February 2013 to help with the parlor/dining room!